When it comes to designing a stunning nursery, it’s all about the details. Adding in special artwork and fun accessories will help make the room pop and bring your design to life. Today we’re teaming up with Trendy Peas to help you put the finishing touches on your little one’s space. One lucky Project Nursery reader will win a $100 gift certificate to Trendy Peas. 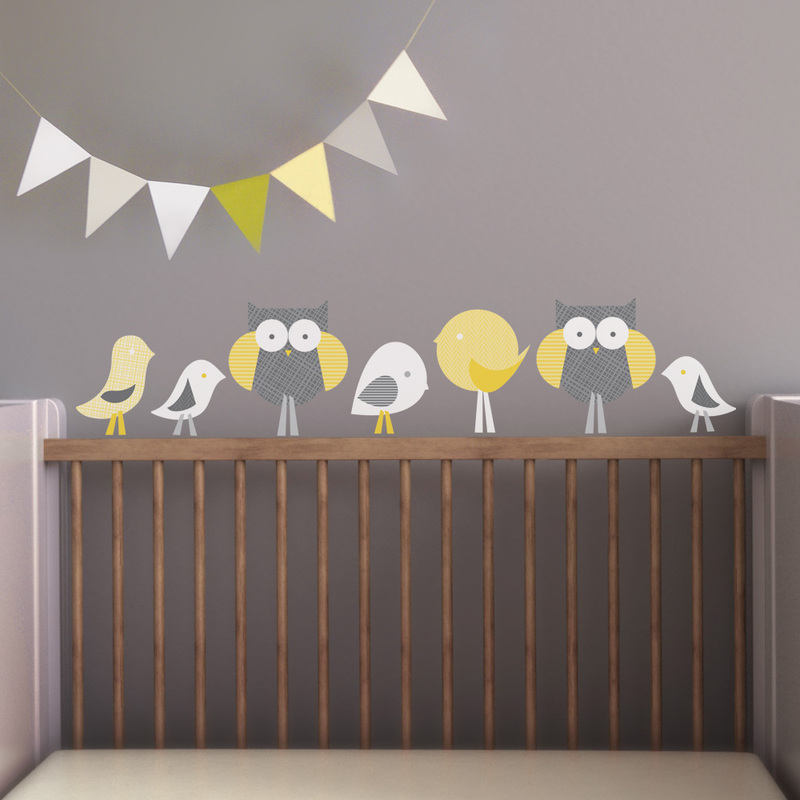 Trendy Peas is an online source for a unique selection of contemporary wall decals, wall art, mobiles, paper goods and other decor accessories for kids. Their designs are modern, elegant and most of all, kid-friendly. Trendy Peas’ modern designs will add a hip element to any child’s room, making it a space both parents and kids can enjoy. From letters and numbers, to geometric shapes and flower patterns, they have something to complement any design. With so many timeless (and fun!) options, it’s hard not to get inspired! WIN IT! One Project Nursery reader will win a $100 gift certificate to Trendy Peas. lol under my facebook name I accidentally added @yahoo.com after misenheimer. Hopefully that can be ignored. They have amazing things!